Google has been busy, that’s for sure. Since the August 19 update, we’ve seen a number of significant updates causing serious volatility in the SERPs. Sure, Google pushes many updates per year, typically between 1,000 and 1,500 annually, but some are small updates that many don’t even notice. But then there are larger changes that cause the earth to shake. That’s what I’m focusing on here. After analyzing a number of the sites that were impacted (both positively and negatively), I wanted to write a post covering my thoughts about what’s going on. I think it’s a really interesting time in the algorithm update section of Google Land. And I know many are wondering what’s going on, if the volatility will calm down, etc. In this post, I’ll cover the dates I saw major volatility, explain my thoughts about what could be going on, explain where we might be headed algo-wise, and then quickly cover what site owners can do now. Let’s jump in. OK, so I mentioned a lot of volatility earlier, but let’s talk about specific dates. I wrote about the update on August 19, 2017, which was a significant quality update. Many sites saw movement globally. But it wasn’t long before we saw more substantial movement. And little did I know what we were in for… I want to provide a number of screenshots below that show the crazy volatility I have seen since August. This was across sites, categories, and countries. The first update that caught my attention after 8/19 was on 9/8. This didn’t necessarily shock me, though. I’ve documented several larger updates in early September over the years. This one was similar. But only ten days later, we saw another on 9/18. And before I could fully dig into that update, there was more activity on 9/25 and 9/29. First, here’s movement during the September 18 update. On 10/4, we saw yet another noteworthy update. Yes, it was getting ridiculous… And then I saw movement that seemed tied to the 10/4 update on 10/8, and even more movement as recent as 10/12. I’m still digging in there, but it was clear enough to document. Worth noting, there’s one hit that has garnered a bit of attention. I picked up a big drop during the 10/4 update to giphy.com, which is the largest site dedicated to animated gifs on the web. It’s a beast, but got hammered on 10/4. This was after executives from giphy were highlighted in a Fast Company article where they boasted about “owning” certain keywords in Google. Here is what happened to Giphy. And here’s a very interesting situation tied to aggressive and deceptive ads (which I have mentioned many times in my analysis of quality updates). A site owner reached out to me in July after getting hit by the May 17, 2017 update. I quickly checked the site and saw aggressive and deceptive advertising and communicated that to the site owner. Based on what the site owner explaind to me, the only changes that were made were ad-related (removing ads, toning down the deceptive and aggressive ads, etc.) And look what happened on 10/12/17. Wow, more about ads soon. So, with a spreadsheet full of domains impacted on 9/8, 9/18, 9/25, 9/29, 10/4, 10/8, and now 10/12, I felt a bit overwhelmed. Again, this was the most volatility I have seen in a short period of time, ever. And since I’m a curious guy, I really started thinking about what the heck was going on to cause this much volatility from an algorithm update standpoint. My thoughts about what is going on. So what’s going on here? Why are there so many substantial updates in such a short amount of time? Disclaimer: I don’t work for Google, I don’t have any insider knowledge of what’s been rolling out, and the only people that truly know what’s going on are Googlers. These are just theories I have based on helping many companies deal with algorithm updates over the years, having access to a lot of search data across sites, categories and countries, and tracking updates like these for a very long time. With that out of the way, let’s cover five thoughts I have about what’s going on in Google Land. First, in the past we had seen quality updates every few months. That’s when Google refreshed its quality algorithms and there was widespread volatility. Then I noted that Google seemed to up the frequency of those updates to almost monthly. I documented that in my post about the August 19 update. But now we have seen substantial updates causing mass volatility almost every other week (or even more frequently). This is NOT what we have seen in the past. Again, there may be 2-3 updates per day that are small and don’t cause massive movement in the SERPs, but now we are seeing substantial movement more frequently. It’s not the norm… that’s for sure. Below, I have included five thoughts about what could be going on. I don’t know for sure which one, if any, are correct. But these are all worth thinking about as we’ve experienced serious volatility on a regular basis since August. Remember how Panda went from near-monthly updates to being incorporated into Google’s core ranking algorithm? When that was approaching, I explained that once that happened, site owners wouldn’t know what hit them. And if that was the case, it would sure be harder to identify what caused the drop in rankings. Well, I feel we are on the same path with quality updates. From what we know, Google refreshes its quality algorithms periodically. Again, this seemed to be happening every few months until this summer. Then I wrote that I was seeing quality updates almost monthly. Well now we are seeing updates like this every other week (or even more frequently). So, Google may be increasing the frequency of refreshing its quality algorithms. And the end goal could be to have that running in near real-time (or actually in real-time). If that happens, then site owners will truly be in a situation where they have no idea what hit them, or why. By the way, Google would love a situation where site owners can’t scream bloody murder when a specific update rolls out. Imagine site A gets hammered on Monday, site B that Saturday, then site C on Sunday, with site D the following Wednesday. All of this would be happening as Google’s quality algorithms reevaluate site-level quality scores in real-time. Again, I don’t know if that’s the plan, but if this follows the path of Panda (which currently rolls continuously), then it’s entirely possible. Thought #2 – Specific quality algorithms refreshed separately. Google has always said they push 2-3 updates per day, but we really only saw major updates every month or so (or spread out even further). And again, that’s typically when Google refreshed its quality algorithms. Notice the “s” is bolded above. There’s not one quality algorithm. There are a number of them. So what if Google simply started refreshing those quality algorithms separately versus all at one time? That potentially could cause more volatility at more times during the month. I’m not saying that’s definitely the case, but it’s possible. It’s just very interesting to see so much volatility in a short period of time. Again, this is probably the most volatility I have ever seen in a short period of time. Thought #3 – Don’t forget about Panda. Let’s not forget about our cute, black and white animal that’s still roaming the web. Sure, Panda has changed a lot since “medieval Panda” (when sites would plunge 60%+ overnight), but it’s still running continuously and looking for low quality content. Credit Giphy: Yes, ironic considering the hit they took on 10/4. Thought #4 – Above The Fold (ATF) – The beast few people are talking about. If you’ve read my previous posts about major algorithm updates, then you’ve noticed the continual mention of user experience (UX). And within that category, we have various things that could be creating a negative user experience. That includes aggressive, disruptive, or deceptive ads, other UX barriers, etc. I’ve analyzed many sites that have gotten hammered that employed aggressive, deceptive, or annoying ads. And I’ve also seen all types of UX barriers (anything that can get in the way of users traversing your site). Well, many don’t realize that Google has an algorithm running all the time called Above The Fold (ATF). The ATF algo can impact rankings when ads or other elements push your main content down the page. Google’s John Mueller has explained that ATF doesn’t need a refresh. It is working all the time. So as Google crawls your site and identifies ads (or other elements) pushing down your main content, your site can be negatively impacted. Therefore, any changes to Above The Fold could have a big impact on site rankings. For example, if the algo’s strength was increased or if changes were made to how quickly ATF can impact a site after identifying problems (or fixes). Again, we have no word from Google about any changes to ATF, but we know it’s running all the time. It’s just another reason to get your ad situation in order. Remember, the quality rater guidelines (QRG) mention aggressive, disruptive, and deceptive ads many times when helping raters determine what’s high quality versus low. Beware. And last, but not least, we have Google’s mobile-first index. We know Google is actively testing its mobile-first index in the wild, but they do NOT want the rollout to cause massive volatility across the web. That’s why Google has explained it will phase the rollout of the mobile-first index and begin with sites they know are ready for the switch. For example, Google may choose to switch sites over that contain the same content across desktop and mobile, contain the same structured data, hreflang tags, etc. So, my initial reaction when seeing the recent volatility was that it’s not the mobile-first index, and that the volatility was more about Google’s quality algorithms. Again, I have seen many of the same “quality problems” when analyzing sites that have been impacted. In addition, I have helped sites seeing positive movement during these updates and definitely know what they have been working on. For example, improving content quality, removing aggressive, disruptive, or deceptive ads, removing UX barriers, etc. I still don’t believe the mobile-first index was responsible for much of the volatility we have seen recently, but I did see some interesting situations while analyzing sites that were impacted in September and October. For example, below you can clearly see a distinct drop followed by a full or near-full recovery soon after. And those sites were using separate mobile urls and did have different content across desktop and mobile. Now, I’m not saying this was 100% Google’s mobile-first index in action, but it very well could have been testing. Maybe Google was testing the mobile-first index on sites they knew had separate mobile urls and then reverted the test after seeing the damage. Again, Google doesn’t want to cause serious damage when moving sites over to the mobile-first index. They have been very clear on that point. It’s just another important aspect to think about. Site owners should absolutely be auditing their websites now from a mobile perspective to ensure the mobile version of their urls contain the same content as desktop, contain the same structured data, hreflang tags, etc. Get ready now. Don’t wait. 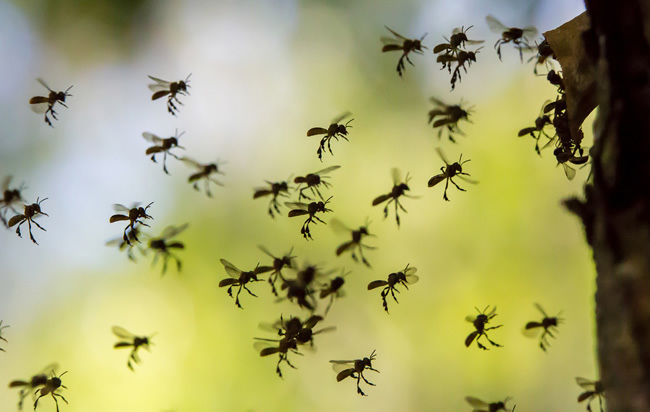 Exiting The Hornets’ Nest – Where that leaves us and what you can do. Based on the volatility this fall, and what I’ve explained above, I’m sure you are wondering what you can do. I’ve said this for a while now, but we are pretty much at the point where sites need to fix everything quality-wise. I hate saying that, but it’s true. Google’s algorithms are extremely sophisticated and take many factors into account quality-wise. For example, content quality, user experience, page layout, and Gary Illyes even explained that off-site sentiment can be used to evaluate quality. The QRG mentions that several times as well. Let’s face it, we’re not dealing with a 2004 set of quality algorithms. We’re looking at sophisticated algorithms trying to mimic humans to determine the best possible search results for users. There’s not a better way for Google to serve the best search results than to mimic humans via its algorithms. I recommend reading that last line a few times. Below, I’ve provided a bulleted list of things I would complete sooner than later. And this is for all sites… not just ones negatively impacted by recent algorithm updates. You want to be proactive versus reactive when it comes to algorithm updates. Perform a thorough crawl analysis of your site help surface problems from a quality standpoint. Then fix what you can as quickly as possible. Remember, Google wants to see significant improvements from a quality perspective, and over the long-term. My favorite crawling tools are DeepCrawl (where I’m on the customer advisory board) and Screaming Frog. When using both to audit a site, 1+1=3. Review queries leading to your site and then heavily review the content receiving traffic from Google. Make sure you meet or exceed user expectations. If you find low quality content, outdated content, or simply content not up to par, then enhance it. And if boosting content quality isn’t possible, then nuke it (noindex or 404 the urls). Google has explained that it takes all urls that have been indexed into account when evaluating quality. Objectively check your ad situation. Make sure you are not employing aggressive, deceptive, or disruptive advertising. 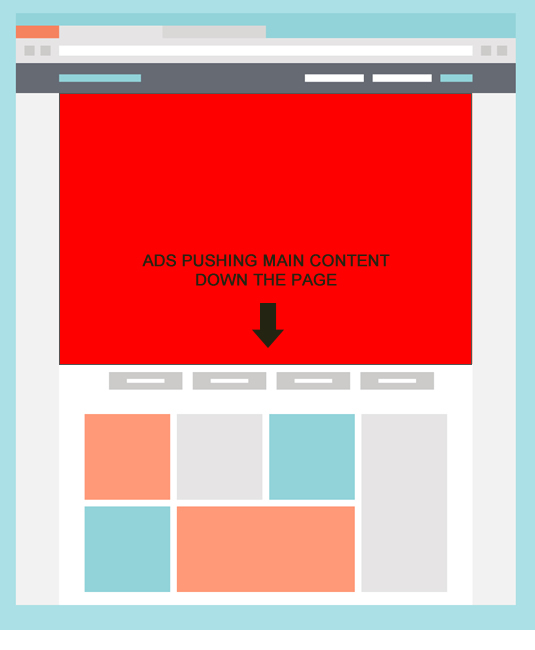 And definitely make sure your ads are not pushing your main content down the page. Remember, Above The Fold (ATF) is a beast and it’s running all the time. Don’t forget about that algorithm, because if you do, the only reminder you’ll receive will be a sharp drop in rankings and traffic. Beware. Review your mobile situation as soon as possible. Google is actively testing its mobile-first index now and will be rolling it out at some point in the near future. Make sure the mobile version of your urls contains the same content as desktop, the same structured data, hreflang tags, and more. Be ready for the switch versus having to scramble to make changes. A great way to check this is to crawl your site as both Googlebot and Googlebot for Smartphones. Then compare the mobile and desktop urls based on what I explained earlier. I hope my post helped explain some of volatility we’re seeing from a Google algorithm update standpoint, why that volatility might be occurring, and what you can do now to make sure your site is in the best possible position as more updates roll out. We know that change is constant in Google Land. So your best bet is to stay ahead of the curve by continually auditing your site, surfacing potential quality problems, and then rectifying those problems quickly. That’s how you can steer clear of the hornets’ nest. Good luck and stay tuned.